A Christian evangelist and apologist has established September 13 of each year as global “Mercy Day”—a time for Christians to celebrate the mercy of God and to share the gospel by telling others about the meaning of the rainbow. 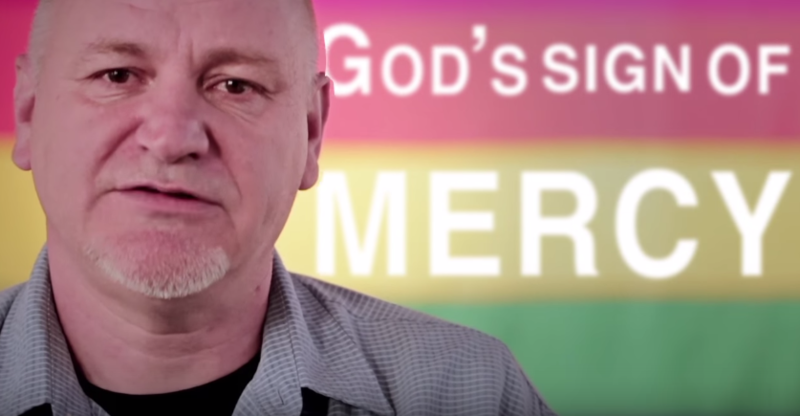 Sye Ten Bruggencate announced the launch of Mercy Day shortly before midnight as he embarks on a mission to take back the symbolization of the rainbow as outlined by God in Genesis 9:13. He told Christian News Network that the idea came after Russia hosted the winter Olympics last year, which resulted in some cities flying the rainbow flag in protest of Russia’s position on homosexuality—including Ten Bruggencate’s hometown of London, Ontario. “I thought, ‘That is enough. That is God’s symbol—His mercy toward mankind. It’s time to take this rainbow back,'” he said. Ten Bruggencate searched to see if there were others organizing efforts to bring education on the meaning of the rainbow, but noted that they had all fizzled out. He therefore decided to create a day where Christians worldwide could reflect on the mercy of God, as outlined in the book of Genesis. “I thought we could focus on a certain day where we celebrate the mercy of God, and I thought we could call that ‘Mercy Day’ and that the symbol of Mercy Day would be the rainbow,” Ten Bruggencate said. The first official Mercy Day will be September 13, 2016, and Ten Bruggencate is working on creating products and promotional items—including gospel literature—which will be made available on the event website, MercyDay.com. He hopes that churches and ministry leaders will organize events across America, Canada and around the world. He stated that the observance is not meant to target homosexuals, and that Christians often don’t understand how to respond to the issue of homosexuality in the first place. Ten Bruggencate recalled an encounter that he had with a man during the 2012 Super Bowl in Indianapolis, Indiana. “I was preaching on one corner, and on the opposite corner from me was the Westboro Baptist Church, and they had these signs that say, ‘God hates fags.’ And I had a homosexual man come up to me, and he said, ‘Why don’t you have a sign like that? '” he explained. “I said to him, ‘Because apart from the blood of Jesus Christ, He hates me too. I’m no better than you. I’m [just] better off.’ And I had an opportunity to share the gospel with this man. We had a wonderful conversation for about half an hour,” Ten Bruggencate said. He stated that such is the goal of Mercy Day. Editor’s Note: Those who would like to organize an event in their city for the 2016 Mercy Day may click here.